This chapter lays out the overall puzzle, argument, and describes the cases. 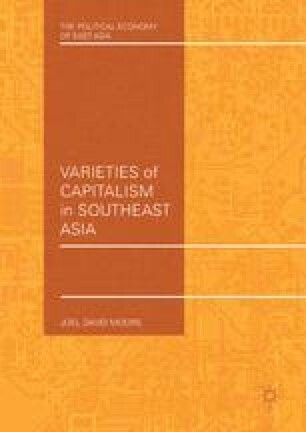 In it, I review the academic debate about the origins of distinct varieties of capitalism , focusing on the impact of political institutions. Although most of the scholarship identifies a positive relationship between the number of veto players and the strength of coordinative governance institutions, interesting anomalies appear in the developing world: countries with a single veto player governments that have strong coordinative institutions and countries with a very high number of veto players that have weak coordinative institutions.